The Pope offered incense to a stone during mass attacking the mafia. The mob hit back at the madonna, forcing her to bow. 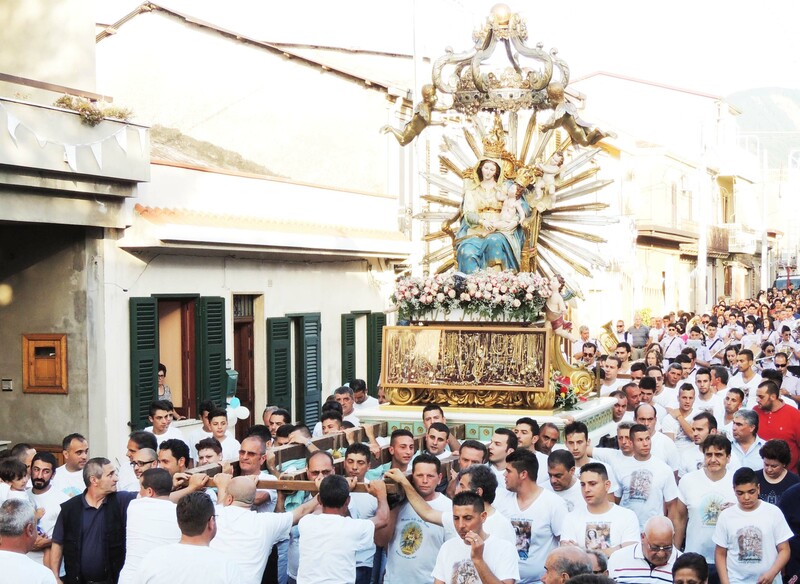 The « holy madonna » had to bow before the maffia boss Peppe Mazzagatti in Oppido Mamertina in Southern Italy. On June 21, the Pope offered incense to a statue of « the holy madonna » in Sibari, in Italy’s Calabria region. During the mass the Pontiff excommunicated the local mafia from the Roman Catholic Church. On July 2nd, the local mafia boss hit back at the papacy. The Italian press and the Catholic news site Zenit are reporting that during a religious procession in the Calabrian town of Oppido Mamertina, the statue of the Virgin Mary was diverted and taken in front of the home of mob boss Peppe Mazzagatti where the statue was made to bow.